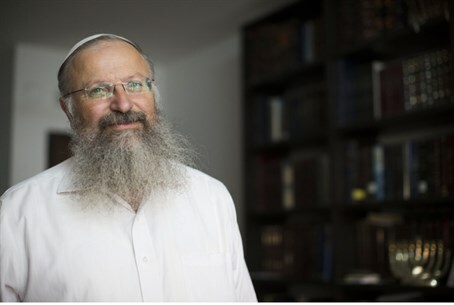 The leftist Meretz party has been conducting a campaign aimed at preventing Rabbi Shmuel Eliyahu from being a candidate for the office of Chief Rabbi of Jerusalem. Rabbi Eliyahu is currently Chief Rabbi of the northern Israeli city of Tzfat. Meretz MK Issawi Frij has asked the Attorney General's office to ban Rabbi Eliyahu from the race, claiming that he is a “racist.” In his letter to the Attorney General's Office, Frij said that the state must act “to prevent the shame of the possibility of a benighted racist taking this job. It's not enough that he was not fired from state employment altogether, but that we are now talking about advancing him to be a rabbi in Israel's capital city,” the letter said. Meretz has distributed an online petition against Rabbi Eliyahu's candidacy. Several years ago, Rabbi Eliyahu issued a ruling asking Jews in the city not to sell or rent homes to Arabs. Dozens of Arab families from villages surrounding Tzfat were seeking to move into the city, and many Jews complained of being harassed and attacked by Arabs in the city. The petition says that Mayor Nir Barkat planned to appoint Rabbi Eliyahu to the post, and that only a loud public outcry could stop him.